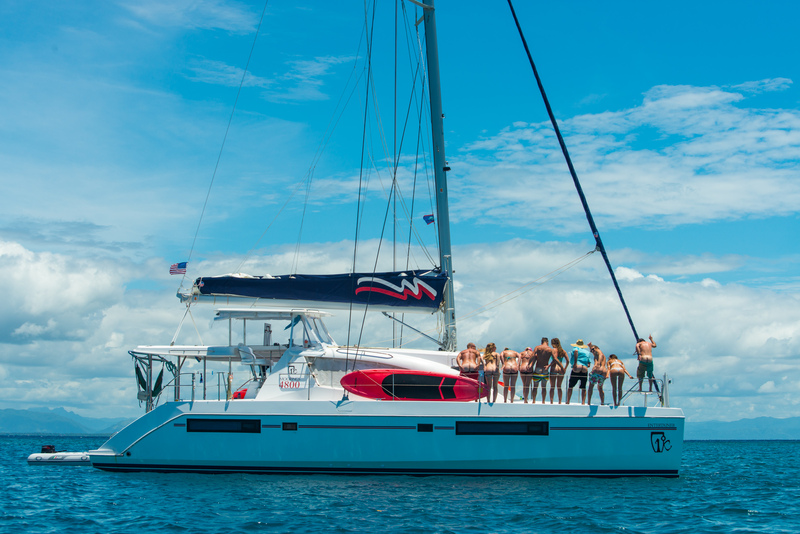 This spring I was asked to join the Icelantic crew on their yearly sailing retreat. The trip has become something of legend for anyone in their sphere. Partying at Bryan Adams’ house, lost dinghies in French Polynesia, and plenty of other epics and antics defined what seemed to be the coolest company retreat in the history of the humanity. When Sam Warren asked if I wanted to join this year I stuttered out some kind of vaguely affirmative answer, I think not even believing it was a possibility, and before I could question it I started receiving emails about tickets and logistics. I had a slight moment of questioning, “What if another shoot comes up?”, “Can I take the time off other projects?”, and other all the other perpetually worried questions the modern busy-trap of society puts in your head. The questions only lasted a moment before I put priorities in line, anxieties in check, and booked the tickets. Was I hoping a well paying job would come through so I could save up and maybe afford to go on a sailing adventure when I retire in 40 years? Screw that! I had the opportunity to go now, with a group of some of the most talented inspirational people I could imagine joining on such an epic quest. I was shooting photos both for Icelantic and for The Moorings Vacations who have been an amazing partner and have made these epic trips possible for the Icelantic crew. Icelantic team manager, Scotty VerMerris, was our trusty captain. I have always admired and respected Scotty and it was a privilege to hang, sail, and learn from him. He has a background in wilderness education and is in the process of building a sailing based wilderness therapy business. 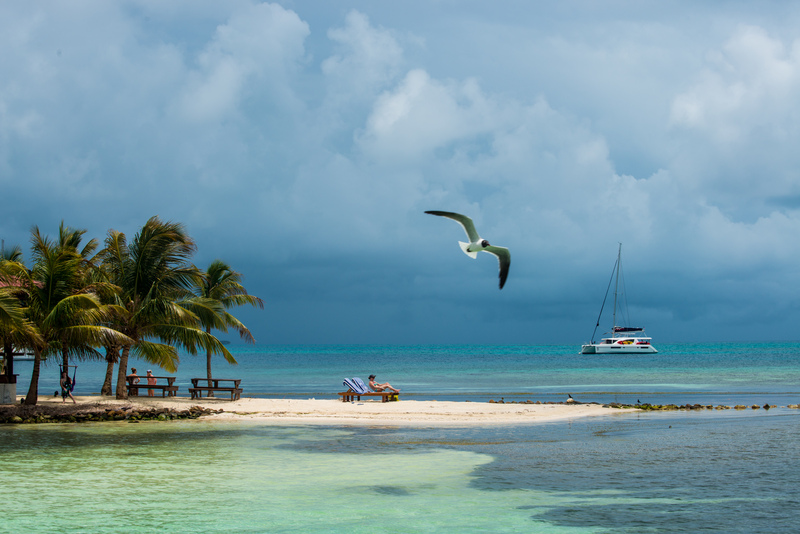 Sailing, like any wilderness activity creates a forced accountability for your actions. It provides a level of freedom, independence, and self reliance that I have only found in hunting and mountaineering. 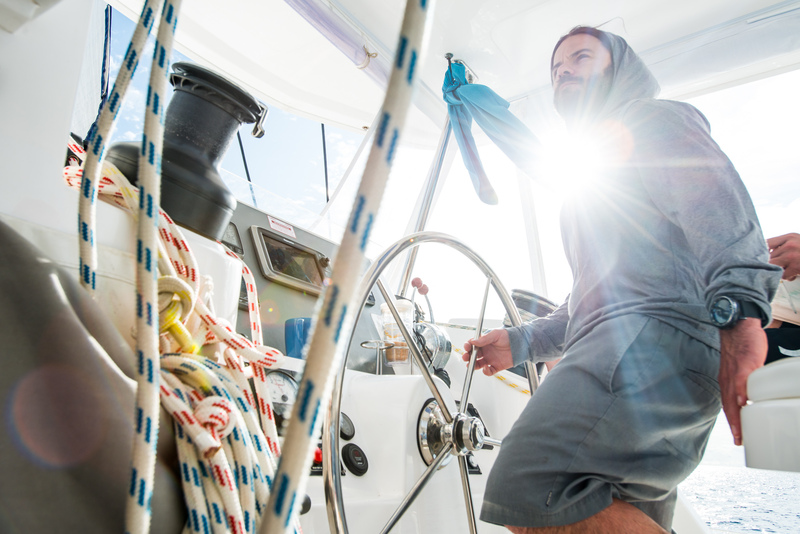 It is also extremely team driven and everything from keeping the decks swabbed and keeping food on the table to navigating and the actual act of sailing is a group effort. I absolutely loved learning from Scotty. Sailing is now alongside getting my pilot license with must do life goals. 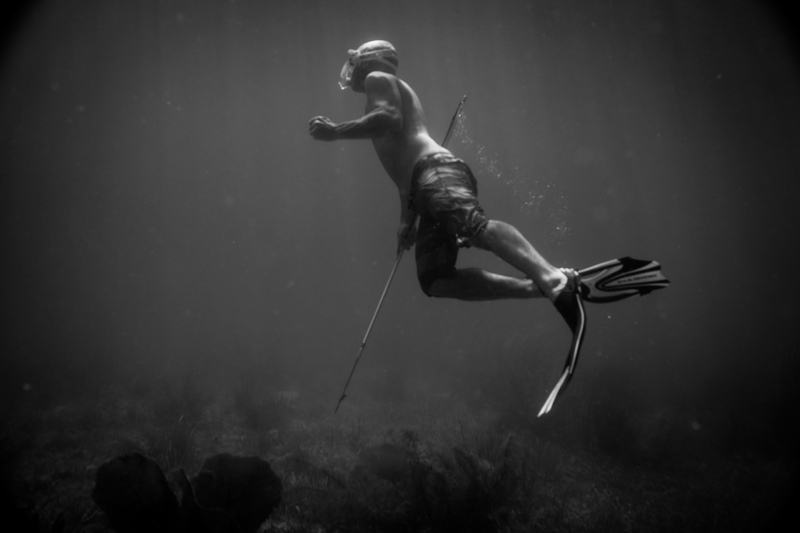 Spearfishing is another passion ignited on this trip. I have always followed @donkeyshow and @riffeinternational’s instagrams with wide eyes and deep curiosity. I’ve even gone as far as to start working on my static breath holds but I never touched fins to water until this trip. I never dove more than 20 feet and never speared anything more than a couple pounds but Sam Warren and I were able to put enough protein on the table for our crew of 12. Harvesting my food directly from the planet is something that excites and fulfills me more than anything else I’ve accomplished in life. I’ve been doing more and more research and the depths people are diving and the size of fish people are hunting is mind boggling and it is something I am passionate about wanting to get more involved with in the future. The crew is what really made this trip. I’m lucky enough to have an amazing tribe of people around the world brought together by a shared love of life and the earth. I often (but never often enough) find myself surrounded by people I admire in beautiful places and this was one of the most meaningful, life affirming, trips with the most genuine, passionate, hilarious, fun people I know.